De Stichting De Letters van Utrecht werkt ‘for the benefit of future people’ en is een non profit organisatie. Het project wordt mogelijk gemaakt door financiële bijdragen voor letters, sponsorgelden en de inzet van een grote groep vrijwilligers. Andere bronnen zoals verkoop van merchandise zullen worden gezocht om toekomstig onderhoud aan het bestaande gedicht te bekostigen. Schenking aan een goed doel. Per letter gaat € 10,- naar een goed doel rond behoud en bevordering van beschaving;. Openheid en samenwerking zijn belangrijk voor het project en voor de beschaving in het algemeen. Om die reden zal de gehele financiële verantwoording van de Stichting jaarlijks op de website worden gepubliceerd. Mogelijke overschotten op de rekening worden besteed aan het langzaam terugbetalen van de ‘verleden’ letters sinds 2000, en aan het goede doel dat aan dit project is verbonden.The project is for the benefit of future people and entirely not for profit. Sponsors make the project possible, notably citizens who contribute a Letter and link their name with it. Further income e.g., from sale of merchandize shall be sought to pay for maintenance of the existing poem. Volunteers contribute to the preparation of this project and will continue to play an important role. Sponsors are sought to start the project and when required, e.g. for larger repairs or substantial extensions (such as, possibly, the addition of crowd-sourcing of drawings laid next to the poem). Pay for the poet: in 2012, 5 Euro per letter are considered adequate, 260 Euro per year (the initial five poets waived this and contributed their parts of the poem for free). 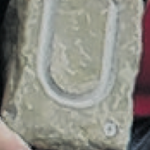 The costs of turning the next stone into the next Letter (stone with character hewn and number engraved on its face the name of the sponsor engraved on its side). 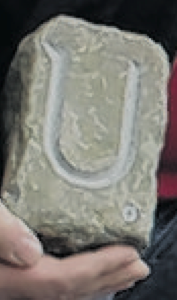 At cost contributions of the masons make this possible for 55 Euro per Letter, including preparations. Per Letter 10 euro shall be contributed to a good cause working for the advancement and securing of civilization..
Transparency and collaboration are important for this project, and for civilization. The annual financial reports of the project/foundation Letters van Utrecht shall be published here.